Raymond Romba, age 87, resident of Waterford Township, passed away peacefully at his home on Monday, November 2, 2015. Born July 10, 1928 in McKean, PA, he was a son of the late Frank Romba and Julia Zaleski Romba. Mr. Romba joined the US Army Air Corp in the Spring of 1945, served in the Pacific Theater and was honorably discharged in 1949. He then began a career working as a stationery engineer for Interlake Steel of Erie, later for Koppers, Inc. and Erie Coke, from where he retired in 1990 as a stationery engineer and supervisor of the power department. He was a lifelong member of United Steel Workers and had served two terms as president in the late 1970’s. He was a member of St. Francis Xavier Catholic Church in McKean and a lifelong member of St. Francis Ushers Club. He enjoyed being outdoors and planting oak trees and dining out with his friends at the Old Country Buffet and Eat-n-Park. Ray was particularly proud of his many grandchildren and their accomplishments. Preceding Ray in death was his wife of 50 years, Mary Louise Robison Romba whom he married on July 27, 1950 and who died in 2000; his two year old son – Kenneth Romba; two sisters – Jenny Romba and Mary Cyparski; and six brothers – Joseph, Theodore, Steve, Zigmond, Leo, and Stanley. Surviving Ray are his children – Carol Ludwig of Bradford, CT; Edward Romba of Leesburg, FL; Sharon Young and her husband, Scott of Fairview; Janice Kozloff and her husband, Shane of McKean; Ronald Romba and his wife, Doreen of McKean; and Jeff Romba and his wife, Shelley of Edinboro. Also surviving are 18 grandchildren and 22 great grandchildren; a brother – Frank Romba of McKean; and a sister – Berdina Jaskiewicz of Erie. 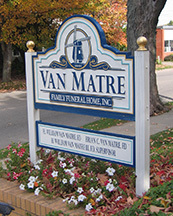 Friends may call at the Van Matre Family Funeral Home, 306 Erie Street, Edinboro on Thursday, November 5th from 2-4 and 6-8 and to a Mass of Christian Burial on Friday, November 6th at 10:00 a.m. at St. Francis Xavier Catholic Church in McKean. Interment will follow at St. Francis Cemetery. Memorials may be given to Erie City Mission, 717 French Street, Erie, PA.
My condolences on your loss. My thoughts and prayers are with the family. So sorry for your loss. Thinking of you all during this time and keeping you in my prayers.